Hotel Eden’s reincarnation for the 21st century takes a touch of la dolce vita along with it. Charm, history and an authentic classic Roman style have been reframed anew. Nestled between the beauty of Villa Borghese’s greenery, and the architectural icons of the Spanish Steps and the Trevi Fountain lies an urban oasis, a place justifying its evocative name ‘Eden’. Following extensive renovations, Hotel Eden reopened in April to encapsulate a true Roman experience for its guests. With its breathtaking views across the Eternal City, and its 98 spacious guest rooms and suites – a reduction from its former 121 rooms to offer more expansive rooms for guests – the project held close to the property’s original, authentic charm and its unique location. Our hotels strongly reflect each destination’s character and culture,” explains Christopher Cowdray, chief executive officer, Dorchester Collection. In his early discussion with the designers concerning Hotel Eden’s refurbishments, he noted: “When I wake up, I want to know where I am.” This idea – that the identity of a place must be sensed immediately, almost intuitively, was a guiding thread throughout the project. Our vision was to create a property that continues to enchant both local residents and international travellers alike. Since its conception at the end of the 1800s, Hotel Eden has welcomed heads of state, royalty and leading personalities in the world of science, literature, art and show business; its Golden Book comprises a portrait of Princess Maria of Bourbon on the day of her wedding to Prince Giovanni of Asturias as well as signatures from the likes of the Grand Duchess Olga of Russia and King Alfonso XIII of Spain. A blend of old world elegance and a reigning sense of serenity are immediately palpable from the first entrance into the lobby. The art, furniture and architectural details strike a fine-tuned balance between old and new. “We reinterpreted the floors of the Pantheon and Caracalla to help create an atmosphere almost outside of time” explains Claire Bétaille who, with Bruno Moinard, comprise 4BI & Associates, architects who previously redesigned some of the public spaces at Hôtel Plaza Athénée as well as The Grill at The Dorchester in 2014 and, at Hotel Eden, oversaw the transformation of the lobby, common areas and the 98 rooms and suites. Golden touches provide a warm atmosphere, completed with fresco paintings by Gio Bressana and punctuated by red ochre and grey stucco marble. In contrast to the warmth are the lobby’s floors in black, white and grey marble. Like in a home, we wanted to give the sense of a Roman palace across eras with generations that have lived there and accumulated objects from different periods, from contemporary furniture to antiques. There are pieces of furniture in the hotel that are more than one hundred years old that we restored. Moinard and Bétaille have configured the rooms to accentuate the beauty of natural light. 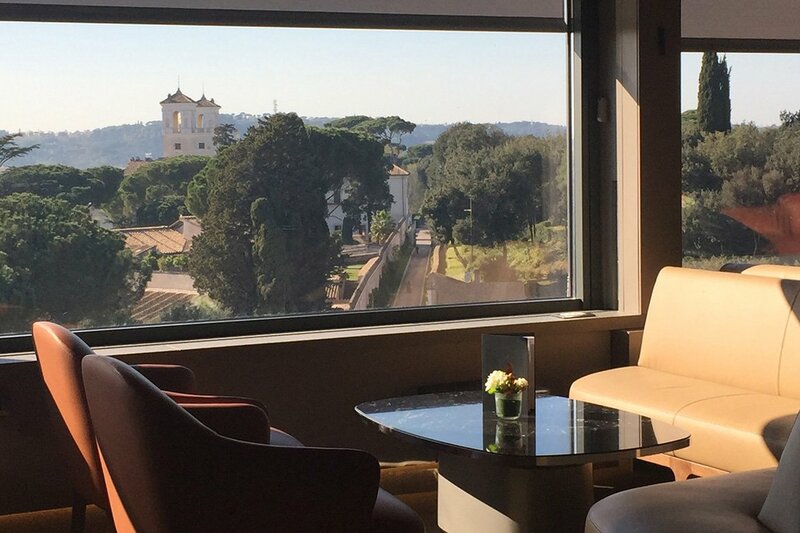 Sophisticated and elegant in design, the guestrooms and suites provide bright and airy spaces with high ceilings and tall windows, framing Rome’s stunning skyline and utilising the hotel’s central location and city views. Each room and suite in the hotel is unique featuring, for example, damask tapestries that 4BI & Associates notably co-created with local Italian artisanal weavers especially for the project. The sleek bathrooms, inspired by Roman baths, are decorated in white and gold, featuring mosaics, as well as solid marble baths and vanities. Signature Suites include the Villa Malta Suite, the Aurora Terrace Suite, the Villa Medici Presidential Suite and the Bellavista Penthouse Suite, which offers the most intoxicating views over the city. Villa Malta Suite’s views, which include the church of Trinità dei Monti and Rome beyond, were said to inspire poet, playwright and former guest Ga-briele D’Annunzio, whilst the Villa Medici Presidential Suite’s captivating city vistas were enjoyed by John F. Kennedy Jr. The Aurora Terrace Suite, once home to actress Ingrid Bergman, offers a spacious outdoor terrace with a dining area for up to ten people. But it is from the Bellavista Penthouse Suite’s magnificent rooftop location that unrivalled views of Rome prevail. Accessible by a private lift, once inside, its floor-to-ceiling windows can be opened to flood the room with natural light. 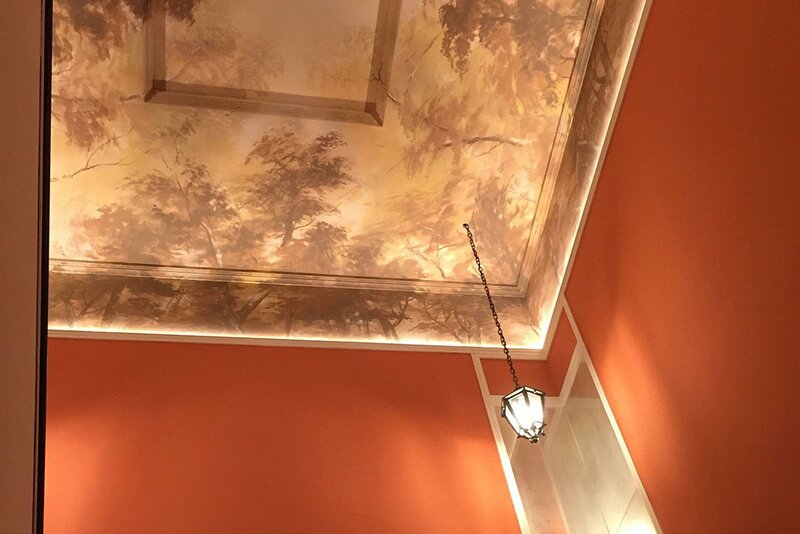 Joining 4BI & Associates on the project, design team Patrick Jouin and Sanjit Manku were entrusted with the restoration of the restaurant La Terrazza as well as the Il Giardino Ristorante & Bar and Hotel Eden’s Spa, inspired by Roman baths. The design duo also considered Rome’s light and Hotel Eden’s location, using colours such as ochres, siennas, and greens. Il Giardino Ristorante & Bar mirrors the lush greenery of the neighbouring Villa Borghese with a large abstract green wall or ‘vertical garden’ made of glass and metal foliage. The space is the perfect perch to admire the view of the Villa Borghese whilst also providing a comfortable space for large family parties at weekends – a strong tradition in Rome. 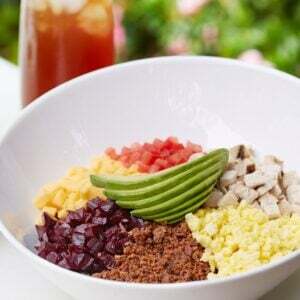 All day dining with award-winning executive chef Fabio Ciervo’s modern interpretation of classic Italian and Roman cuisine, using fresh, seasonal and organic produce, offers an array of light, delicious and healthy choices for breakfast, lunch and dinner. La Terrazza, meanwhile, is the jewel in Hotel Eden’s crown. Located on the top floor, it offers guests a mesmerising view overlooking Rome alongside creative and innovative seasonal Mediterranean dining. Celebrated film director Federico Fellini always chose La Terrazza for his interviews. With its spectacular views of the majestic St Peter’s Dome and across the Eternal City, the panorama is an aesthetic pleasure in itself. Also overseen by chef Fabio Ciervo, the sophisticated cuisine focuses on the highest quality ingredients, using only seasonal fresh products. A natural traveller, chef Ciervo strongly believes haute cuisine should seek inspiration from all cultures to produce a unique gastronomic synergy. From his native Italy, Fabio acquired the virtues of Italian food; from Asia, he learned how to pay special attention to the choice of spices; France taught him the art of making wonderful sauces, while he explored innovative culinary techniques in Spain. 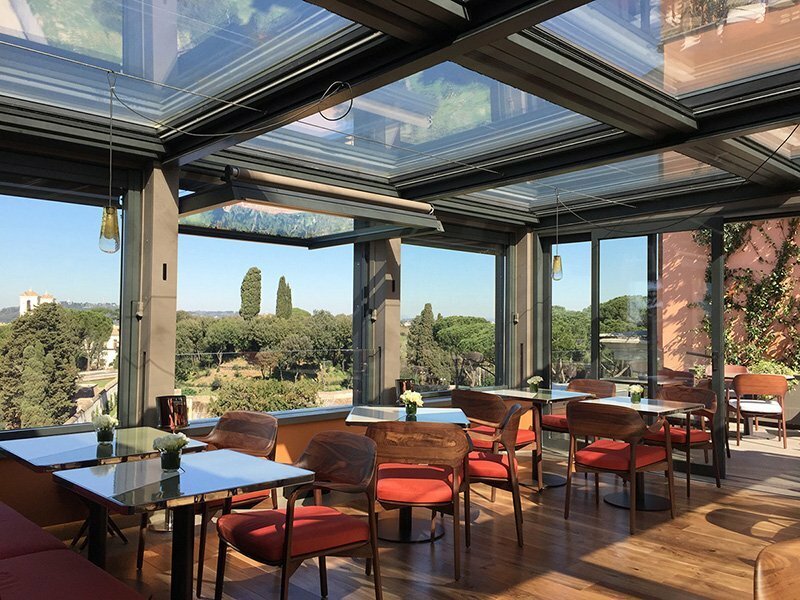 What I want people to feel whilst dining at La Terrazza is that sensation of being suspended in time, between earth and sky, between eternal Rome and Rome that is living and vibrant – a double sort of magic. Designers Patrick Jouin and Sanjit Manku.